Garrett Popcorn Shops has been handcrafting gourmet popcorn using only the highest quality ingredients since 1949. Renowned as the original gourmet popcorn brand throughout the US and Asia, Garrett Popcorn Shops still ensures every small batch of Garrett Popcorn is hot air popped throughout the day and cooked right at the Shop for maximum freshness. The famed Garrett CaramelCrisp™ is loved for its delicious, complex caramel taste and satisfying, crème brulee crunch. 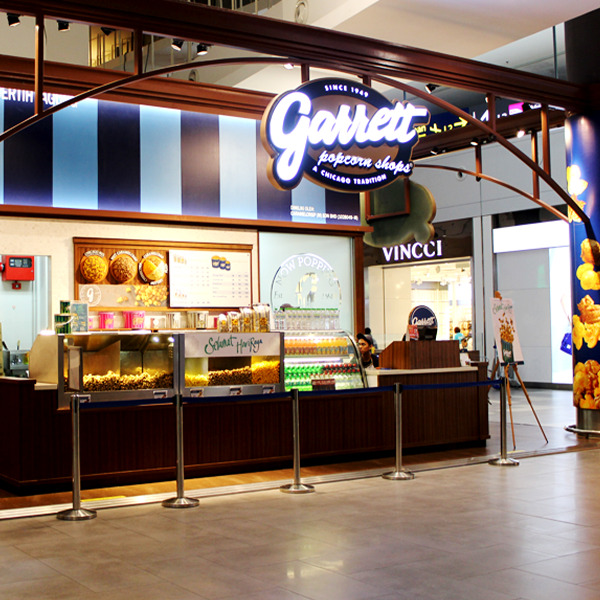 Whether you purchase a Bag of the popular Macadamia CaramelCrisp to snack on while you wait for your flight or a Tin of the famed Chicago Mix™ to please your hosts, Garrett Popcorn is a sure to delight!